Weekend: River City Music, Goetta, Makers Market, Roebling, More! A big weekend is in store in the Northern Kentucky River Cities! 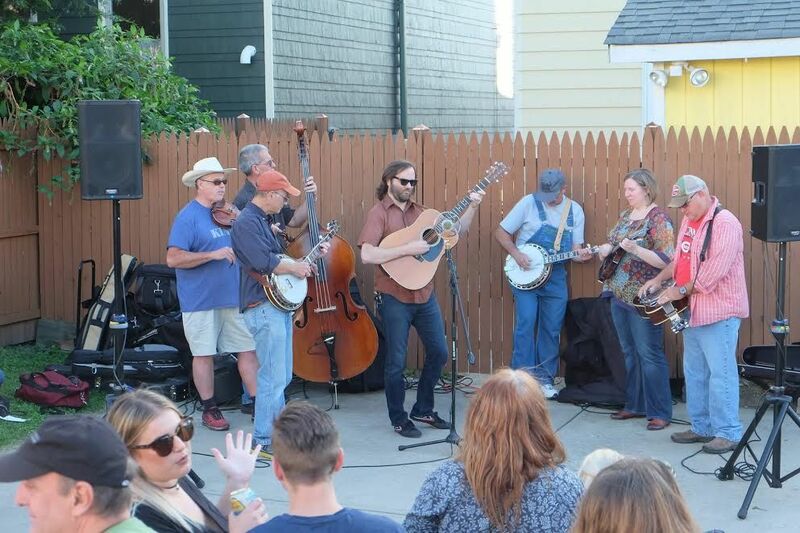 River City Music Fest returns to Dayton, GoettaFest is back in Mainstrasse Village, Roebling Fest celebrates the Suspension Bridge, bargains will be found in Bellevue, and Braxton Brewing invades the Ludlow Bromley Yacht Club. For the second straight year, Dayton welcomes River City Music Fest to Gil Lynn Park. The day-long music festival on Saturday features a variety of bands from different genres rocking the stage from 2 p.m. till 11 p.m. The event also features beer, food, and other vendors, as well as activities for kids. Some of the musical acts include Over Drive, Lee Taylor & Taylor Mae, All-Seeing Eyes, Johnny Walker, Josh Wilhoit, Decoy with A Certain Concept, and more. Gil Lynn Park is at 203 Greendevil Lane in Dayton. The 17th annual Mainstrasse Village "Original" Goettafest is back Friday, Saturday, and Sunday. The celebration of the local favorite - a breakfast staple popularized by the area's German immigrants - features goetta cheese burgers, goetta grilled donuts, goetta brownies, goetta balls, goetta dogs, goetta omelets, goetta reubens, goetta chili, goetta rice bowls, goetta burriots, and more. The festival, at Sixth and Main Streets in Covington, will also include arts and crafts, music, entertainment, and children's activities. Free parking is available at the IRS parking lot at Fourth & Johnson Streets. On Saturday, the Covington, Cincinnati Suspension Bridge Committee (CCSBC) and the Roebling Point District Business Association will host RoeblingFest 2017. The annual event in Covington aims to celebrate the Roebling Suspension Bridge and its history. This year is a very exciting year because it is the Roebling Bridge’s 150th Anniversary. The CCSBC is a non-profit organization that pays for and maintains the esthetics of the bridge which includes the decorative lighting. Centered at East Third Street and Court Avenue in Covington, RoeblingFest will run from 10 a.m. to 6 p.m., overlapping the Covington Farmer’s Market in the morning and the Summer Concert Series in the evening. At 12 p.m., on the west side pedestrian walkway of the bridge, the public will actively participate in extending the story of the bridge by joining hands to link Covington and Cincinnati for an original ‘Hands Across the Roebling Suspension Bridge’ photo. A family-friendly event, RoeblingFest offers additional free attractions for history, architecture and engineering enthusiasts; preservationists; photographers; students; educators; and admirers of the John A. Roebling Suspension Bridge. – 11 a.m. An open forum where attendees will have an opportunity to ask questions about the Roebling Bridge and its history. Rob Hans and Ralph Wolff, retired Kentucky Transportation Cabinet (KYTC) civil engineers and members of the CCSBC, will respond to questions. – 1 p.m. “John A. Roebling and His Suspension Bridge on the Ohio River, A Readers Guide” by Dr. Don Heinrich Tolzmann, who has authored numerous books and serves as historian for the CCSBC. – 2:15 p.m. Proclamations by representatives of Ohio and Kentucky’s Governor’s offices, representatives of Cincinnati’s and Covington’s Mayor’s offices, KYTC and DOT officials, and comments by Kriss Roebling, the great-great-great grandson of John Roebling. – 3 p.m. “The Life of Roebling” presented by Kriss Roebling, a direct descendant of John Roebling. 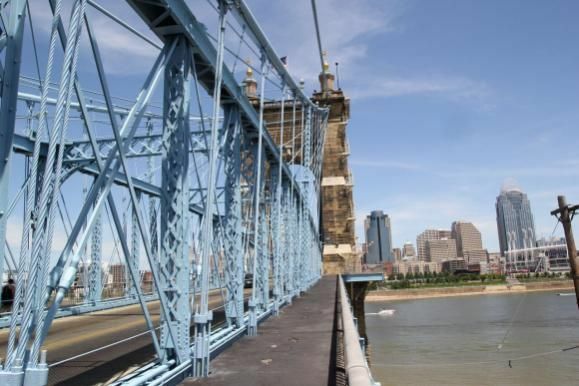 – 4 p.m. “Tying It All Together: Roebling’s Bridge and its Connection to Cincinnati’s Transportation Network” presented by Dr. Paul Tenkotte. A professor of history and director of the Local History Center at Northern Kentucky University, Dr. Tenkotte is the editor/author of many books and articles about northern Kentucky and Cincinnati. – 5 p.m. Another open forum featuring Rob Hans and Ralph Wolff (see 11a.m. forum description). – The CCSBC history tent – 17 historical exhibitors. – Historical photographs and artifacts by the CCSBC, the Kenton County Public Library, the National Underground Railroad Freedom Center, the Behringer-Crawford Museum and others will be displayed. – A short professional documentary produced by the Kenton County Public Library and funded partially by the CCSBC will be playing on the main stage. – Winning photographs of the Roebling Suspension Bridge Photo Contest will be announced at 1:30 p.m. Prints of winning photographs will be on display and available for purchase, and a slide show will present all photo contest entries. – A replica Lego model of the South Pier by Mark Clark will be on display. – The 2018 Anniversary Roebling Bridge calendar will be available for purchase. – Tours of the Roebling Bridge and of the Riverwalk statues will be offered throughout the day. – Walking tours of the Licking Riverside Historic District will highlight significant homes and buildings in the district. – Tours of the Covington floodwall will introduce murals created by artist Robert Dafford. – Period characters – Forget-Me-Not Dancers, Abe Lincoln and John Roebling – will perform. – Unique and beautiful Roebling Bridge items and photographs will be for sale and for bid by silent auction. A “Trip to the Top” of the Roebling Bridge will be featured in the silent auction. – WDJO 1480 Good Times Oldies DJ will provide a musical backdrop. Visitors can access parking in the Yoke lot, along Greenup Street just north of 3rd Street, and in the Midtown garage at Scott and 5th streets. Roebling Point Merchants Association (Molly Malone’s, Keystone Bar & Grill, Blinkers Tavern, The Gruff and Roebling Point Coffee & Books) and Smoke Justis will be open during scheduled business hours. 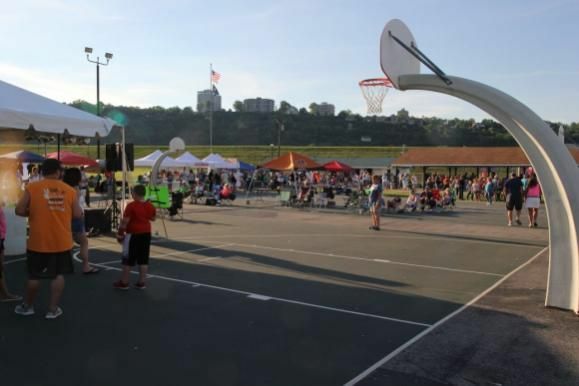 Following the day’s family-oriented activities, Roebling Point District, a valued partner of RoeblingFest, will kick off a street party, featuring live music, food, beverages and fireworks. The street party will run from 6 p.m. to 11 p.m.
Additional information on the Roebling Bridge and RoeblingFest, including a detailed program of events, is available at www.roeblingbridge.org. On Saturday, the Ludlow Bromley Yacht Club becomes the Ludlow Bromley Speedway. That means booze and big wheels. The party starts at 2 p.m. when the green flag drops, inviting you to jump on an adult big wheel and when prizes from Braxton Brewing Company and Cruzan. Ludlow Bromley Yacht Club is at 860 Elm Street in Ludlow. Go treasure hunting in Bellevue on Saturday! The city-wide yard sale starts at 8 a.m.
To see the map, click here. Then, at 5 p.m., the Old Kentucky Makers Market returns. The Comet Bluegrass All Stars will perform and West 6th Brewing Company will be featured at the uniquely Kentucky event that will also have plenty of food and craft/maker/artisan vendors. Find the fun at 700 Fairfield Avenue in Bellevue and be sure to check out Old Kentucky Makers Market on Facebook for details on the rest of their plans this year, as well as on how to be involved. Click here.